Offered here is a lot of six game used blue New York Mets caps. Two hats are unsigned: one is a size “7” cap made by Tim McAuliffe Inc., and the second is a size “7 1/8” New Era cap with the number “34” written underneath the brim in black marker. 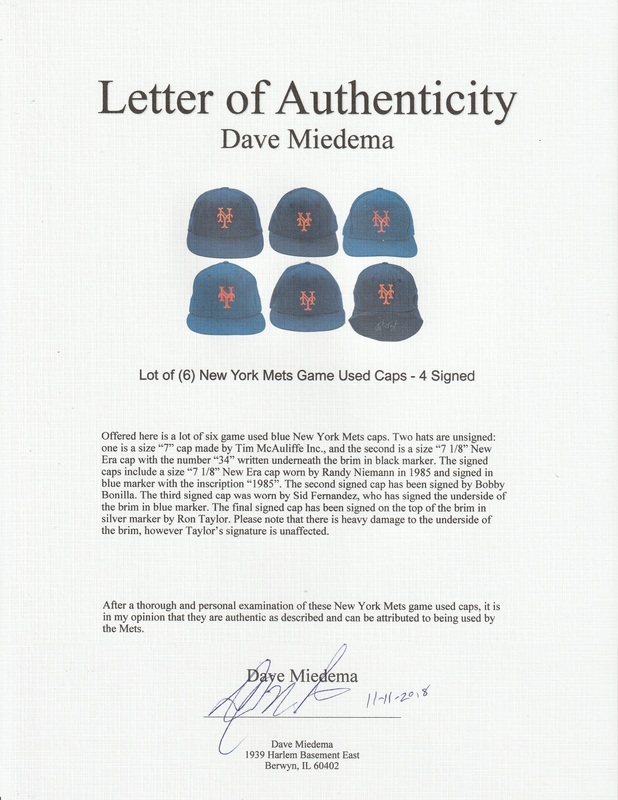 The signed caps include a size “7 1/8” New Era cap worn by Randy Niemann in 1985 and signed in blue marker with the inscription “1985”. The second signed cap has been signed by Bobby Bonilla. 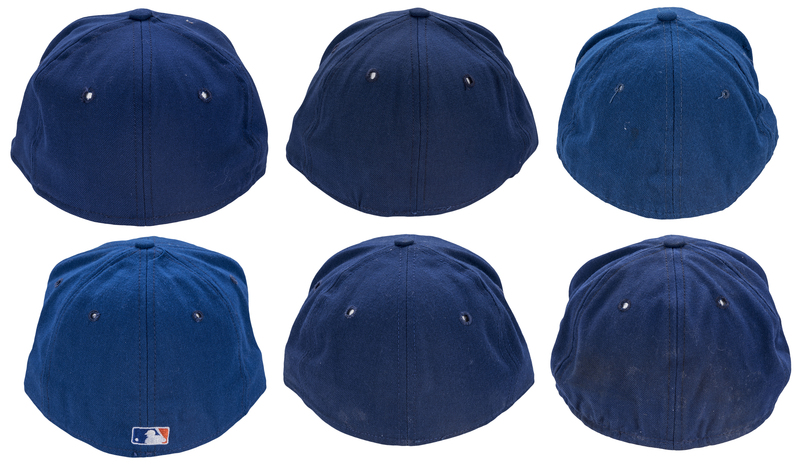 The third signed cap was worn by Sid Fernandez, who has signed the underside of the brim in blue marker. The final signed cap has been signed on the top of the brim in silver marker by Ron Taylor. 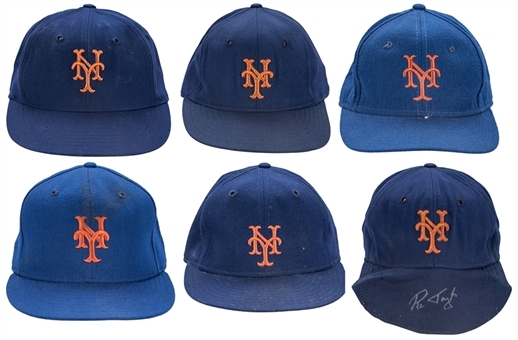 Please note that there is heavy damage to the underside of the brim, however Taylor’s signature is unaffected. COAs from JSA accompany the Bonilla, Taylor, and Niemann caps (AA82247, AA82248, AA82249).